Within ASU Building 4 at Old Folsom State Prison (FSP), the majority of prisoners being housed here are CSP-Sacramento, High Desert and SATF prisoners. These same prisoners are all awaiting court proceedings and/or district attorney referrals; therefore, all 115 disciplinary reports against them cannot and have not been heard to receive findings of “guilty” to receive a disciplinary action. This is important to note, because ICC (Institutional Classification Committee) still imposes a “Projected MERD” (Minimum Eligible Release Date) based on the initial 115 report, as if found guilty for the offense, violating due process of hearing and evidence. With the projected MERD imposed, prisoners still cannot be deemed “SHU” term or be transferred to “SHU housing” because the 115 report is pending district attorney rejection or conclusion of court proceedings. Denial of adequate access to courts and legal assistance: The “law cage” is inadequate for prisoners who are illiterate, non-English speaking and/or undereducated. Many of the men here are facing serious charges that carry life sentences and even the most educated could not mount a proper defense or do legal research on their own. Access to properly trained legal assistance that a law library provides is in line with Lewis v. Casey et al (1996) No. 94-1511. Currently, there is no access to legal forms, copies or printing. It has been long established the “paging” system is in violation. Denial and/or lack of meaningful education, self-help courses and rehabilitative programs: Wright v. Rushen, 642 F2d 1129 (9th Cir. 1981), held FSP shall provide its ASU prisoners with education and rehabilitative programs. ASU prisoners are not afforded GED programs, and the high school diploma program is split between the entire facility and ranch plus ASU. Therefore, we are placed in a hard spot; ASU prisoners are neither first nor second priority, leaving no educational opportunities. The college program is nonexistent at best, to add to the problem, those previously enrolled are forced to drop classes due to no TVs for video assignments, preventing them from acquiring degrees. FSP provides absolutely no self-help courses or counseling in anger management, behavior management etc. FSP provides absolutely no substance abuse counseling or programs, such as N.A. or A.A. 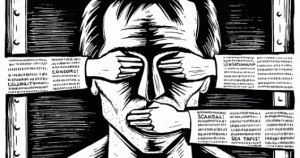 Denial of TVs: FSP has flat out lied on the ability to provide the necessary electrical outlets to allow the possession of a TV. Instead of fixing this issue years ago, FSP continues to cover up the fact the funds allocated (Inmate Welfare Funds) are spent leisurely on non-inmate stuff. Per Title 15, §3190(3), ASU prisoners are allowed the choice of a TV or radio. FSP’s attitude of “make us,” “we’re exempt,” is in violation and promotes prisoners to harm themselves to get a TV. Examine FSP record of prisoners needing mental health care while housed in ASU. Denial of exercise equipment, including pull-up bars: CDCR began installing pull-up bars in all SHUs and ASUs throughout CDC prisons. FSP is one of the last if not the last ASU to install pull-up bars. This was done so men can receive meaningful exercise in the small dog kennel type cages used as yards. With no ability to run around and exercise our legs, prisoners are left to sit idle for hours. CDCR agreed the pull-up bars were meaningful equipment. The permanent injunction in Toussaint v. McCarthy, 597 F. Supp. 1388 9N.D. Cal 1984) covers FSP, saying ASU prisoners shall be provided meaningful exercise. FSP has the necessary vocational jobs and classes to install the bars and build the equipment at minimum to no cost. Sleep deprivation from welfare checks: Correctional officers (COs) on first watch create excessive noise with keys while walking every half hour; mixed with uncourteous loud metal on metal contact, it creates unnecessary cruelty and punishment. A CO’s equipment and keys can be properly secured on their person to prevent the excessive noise, yet when asked for courtesy, the noise is made extreme as a retaliation, thus waking prisoners every half hour the entire night. Commissary and canteen: All items are repackaged into TRASH BAGS! This is forcing prisoners to use toothpaste out of trash bags. Deodorant that is gel is repackaged to trash bags, which causes the deodorant to evaporate and lose its purpose to keep the funk away. Coffee jars are repackaged to trash bags which causes coffee to go stale and harden. This is an irrational practice with no real security or safety reason, as proven by the fact that all packaging in canteen and quarterly packages is allowed within the SHU. Denial of NDS (Non Disciplinary Status) to qualifying prisoners: Title 15 Article 7 Segregation Housing §3335 (A)(1) outlines and stipulates criteria for NDS. FSP’s warden is denying this status based on an underground memo of criteria not approved by the APA. FSP’s warden is attempting to extort information out of prisoners in order to receive NDS after being placed in ASU for “non-disciplinary” reasons. FSP’s warden is attempting to force prisoners to cooperate with institutional investigations, violating a prisoner’s right to invoke the Fifth Amendment. Denial of personal clothing and shoes: Prisoners are forced to walk around in their boxer underwear and state-issued T-shirt, which are normally extremely used and too large or too small. Prisoners are moved around the prison like this and remain all day like this. Prisoners are provided one jumpsuit that is always over-sized, with no ability to wash or exchange it. In the cold winter months, prisoners are denied warm clothing or beanies to prevent sickness while out on yard. During the summer, the warmer months, prisoners are denied appropriate clothing to cover up and still maintain coolness. It is a decency factor of allowing prisoners clothing and properly fitted shoes to remain dignified and in touch with the civilized world. There is no reasonable security issue or factors to deny a person decency. SAN FRANCISCO – Yesterday, lawyers for prisoners in the class action case Ashker v. Brown submitted a letter condemning Pelican Bay prison guards’ “wellness checks,” which have widely been viewed as sleep deprivation. The letter was submitted to United States Magistrate Judge Nandor Vadas, and calls on the California Department of Corrections and Rehabilitation (CDCR) to put an end to the checks. Last month, prisoners achieved a historic victory in the settlement of Ashker v. Brown where the indefinite long term solitary confinement was effectively ended in California, with Magistrate Judge Vadas currently monitoring implementation of the settlement terms. 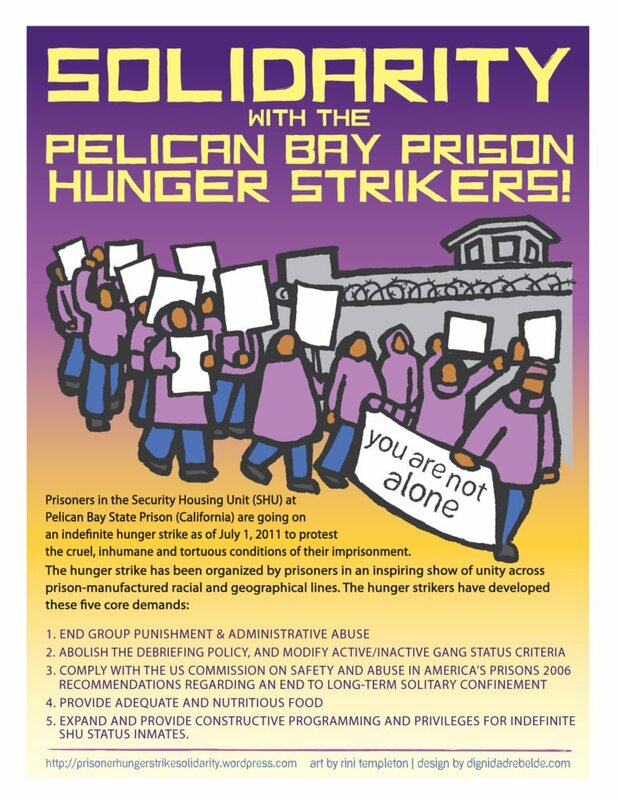 Attorneys representing Pelican Bay SHU prisoners have just completed extensive interviews with prisoners who demand that “the every 30-minute checks have to be stopped or people are going to get sick or worse.” In addition, they report that regular prison programs have been negatively impacted. 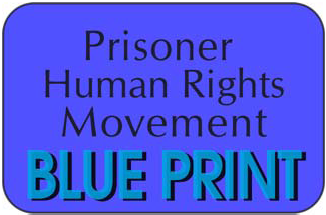 Most prisoners report low energy, exhaustion and fatigue. Most state that they have trouble concentrating. They try to read, but they nod off and/or can’t remember what they have read. Their writing is much slower (“I can’t think to write”), and describe the constant welfare checks as having a negative impact on their mental state. While this recent attorney survey was specifically focusing on sleep deprivation and its effects, prisoners volunteered information about the negative impact of these frequent checks: yard policy and practice has reduced access to recreation, access to showers has been reduced, programs and meals are being delayed, and property for those newly transferred to Pelican Bay is still being delayed and withheld. Sleep deprivation constitutes cruel and unusual punishment. Prisoners and their attorneys are demanding that these checks be halted.